Randy and Debbie Graham and their children grew up in United States with ready access to clean safe drinking water. In fact, they took it for granted. However, in the mid-2000’s they began to travel abroad on occasion, and discovered that safe drinking water is quite uncommon in many parts of the world. This realization created a compassion in their hearts for people suffering under these conditions. When they were introduced to a portable low-cost water purification system in April 2017 manufactured in their own city, Champaign, Illinois, they decided to take action by finding ways to ship units abroad to those who need clean water most. It wasn’t hard to find people in need of the units. 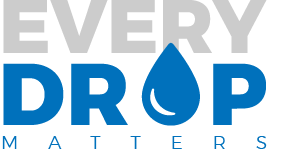 They started Every Drop Matters with its clean water subsidiary to help facilitate the distribution process, and to provide anyone interested with a way to give and participate.